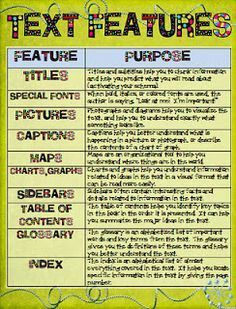 Informational writing is a type of nonfiction writing that conveys information about something, which means it is factual. Many examples of informational writing can be found in newspapers, almanacs, and reference books. This is not to be confused with other types of nonfiction, such as process text, which is intended to explain how to do something, and not so much to give information about anything in particular. A guide that explains how to transplant a tree would be an example of a process text. On the other hand, informational writing might provide interesting facts about plants. Another difference between informational writing and other forms of nonfiction is that it does not involve characters. Informational writing does not generally focus on a person's life in the way a biography does. Instead, it usually provides information about the natural or social world. Informational text is often organized so the reader can easily and quickly find information. For example, it might include section headings, sub-section headings, bolded terms, glossaries, photos, illustrations, charts and/or graphs. When you read a National Geographic article about the polar ice caps melting, or scan a local news feature about the rise in unemployment rates, you're reading informational writing. The polar ice cap article might come with a series of photos and captions to accompany the text, while the unemployment piece might have bar graphs to illustrate the facts presented.